An extensively studied sports nutrition ingredient, creatine monohydrate has been shown to support muscle size and strength gains. 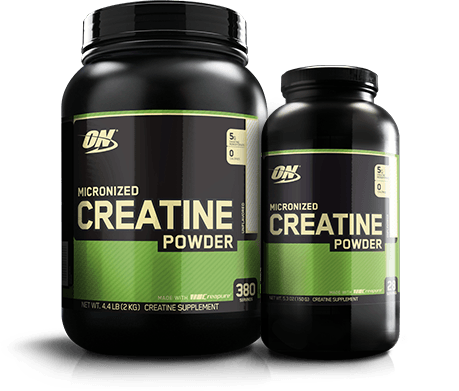 ON’s creatine powder has been micronized to stay in solution longer and non-micronized powders, and because it’s unflavored you can stack one rounded teaspoon into your post-workout protein shake or mix the powder into the flavored beverage of your choice. It pains me to see all these sad sacks complaining about stupid ****. A serving is one teaspoon. One teaspoon equals 5 grams. You don’t need a **** scoop. If the flavor honestly bothers you then just go away. This stuff is great. I’ve been taking it for 6 months now. Noticeable gains in strength and power. I would recommend this product! This stuff really does work. My first time using creatine I really did not know what to expect. I watched a lot of YouTube videos and googled and everyone was saying different things. If you’re like that, here’s my opinion: get this product. I was 6’3 & 175 and my body just looked awkward. In one month I was already getting compliments about how much my arms have grown (which I was ending every workout every day with an arm day so I expected them to grow quickly). In 3 months I went from weighing 175 to 198. I know it’s not all from this product but my workout partner who was not taking this but on the same diet did not grow as fast as me. Plain and simple: get this product. If you can’t handle the taste of this, you won’t be able the taste of anything. It’s truly unflavored. Before I tried it my thought was, “It’s going to at least taste like something.” I was wrong. If you take with water, it will just taste like water with crunch. This is the way I took it to make sure I got 100% of the serving: take a small sip of water and hold that in your mouth, get a full tablespoon of creatine and put in mouth, chase with water behind that. Don’t try to do it without water in your mouth first cause it will be like the cinnamon challenge haha. Do not store this somewhere it may get hot because it will all clump together. But anyways I say all that to say this: this is one of the most researched supplements out there. It definitely works. Get this product. From reading the reviews that this product doesn’t have a scoop, how does one know exactly how much 5g is? Does anyone just randomly pick another scoop from another product and assume that amount is going to be 5grams? Makes no sense to not have a scoop in a product that is required to have one! Hey, not sure if any women tried this product and might of experienced bloating... Have tried other products in the past which gave me that side effect:(. Does this product cause bloating? Been using this Creatine for a while now. It dissolves well and doesn't change the flavor of my shakes when I add it. Helps me go harder for longer through my workouts. 11305851081117 So here is my quite descriptive review. I've never tried pure creatine before, only pre-workout with some creatine. But I could tell that this ON creatine did better than their preworkout I took before. It's didn't increase my strength, rather it makes me feel less fatigue. 1st day of trying, I took 10g the night before and then 10g in the morning meal before workout. It was shoulder day and I was kinda sleepy. Usually if I feel sleepy, I will not be able to lift my usual weight but I was surprised when I lifted the same weight for the same reps. And more than that, I felt like I could go for more exercises after 30 minutes. Usually after 30 minutes I'll be tired and unmotivated to continue but that time I felt more refreshed than when I started. 4th day of taking, I took 5g the night before and 5g in the morning. Chest day. I chose to go heavy this time to test the creatine. So I only go max when dealing with machines. Seated chest machine and seated chest fly with cables. Previously I have to choose one and lift that at the start of the session because if I placed them in the middle, I'llbe too tired to lift. This time though, I was able to complete max of what I can lift for both exercises. For short, it really helps in decreasing fatigue throughout the session. Not during sets. My repetitions remain the same. Weights I can lift remain the same but I can now go for more exercises even if I feel tired going to the gym. 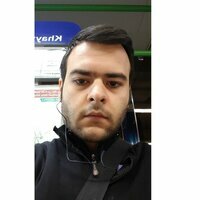 I lose the feeling of tiredness around 30 minutes after. Only downside to this is that it doesn't dissolve in water so I have to stir and drink a lot with it to make sure I take 99% of what I put in the glass. Does its job. I have more power than before. If you can’t handle the texture maybe you should chew better. No scoop, doesn't dissolve in drink even over night, however the product is good and works well, I will continue to use it. Bunch of pu**ies on this site if you can't handle the unflavored creatine. Yes there is a slight taste to it, but it's not that bad. It's creatine. It's a cheap supplement to throw into the stack. I just mix it in with my whey shake after a workout, but I never got indigestion or bloating from it. Would recommend. 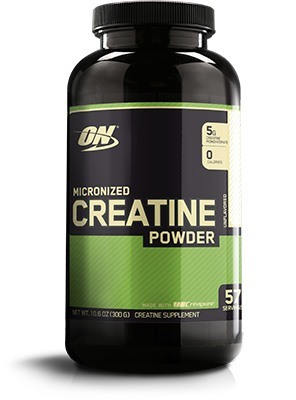 Directions For Micronized Creatine Powder: Add 1 rounded teaspoon of Micronized Creatine Powder to a glass filled with 8-12 oz of cold water or fruit juice. Then mix it up with a spoon. TIP: Power-up protein, meal-replacement, and weight-gainer shake with a rounded teaspoon of Micronized Creatine Powder. 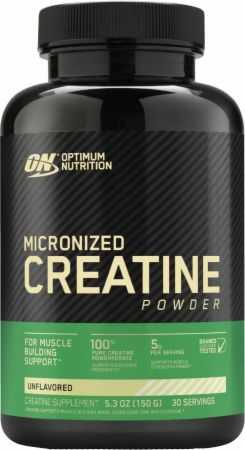 Take 1 rounded teaspoon of Micronized Creatine Powder with morning, afternoon, and evening meals and 1 additional rounded teaspoon before going to bed for 4-5 days. CREATINE MAINTENANCE: Take 1 rounded teaspoon with a meal or immediately after training with your post-workout protein shake. TIPS: Drink at least 8 glasses of water daily when supplementing with creatine. Consuming simple carbohydrates with creatine may help improve overall effectiveness. Warnings: Consult your physician before using this product if you are taking any medications or are under a physician’s care for a medical condition. Not for use by those under the age of 18 or women that are pregnant, trying to get pregnant or nursing. Store in a cool, dry place. Contents sold by weight not volume.